We are the drilling and rock blasting contractor of choice for commercial wind power projects in the Northeast. 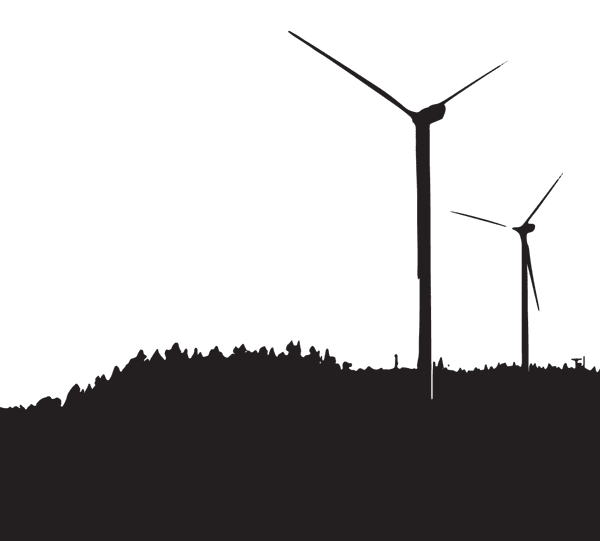 In addition to the projects above, we have worked with other commercial wind farms in Lempster, NH, Mars Hill, ME, Princeton, MA, Portsmouth, RI, Hull, MA, and Altona, NY. See profiles of these projects. Get a free drilling and blasting green energy project quote! We have also helped to upgrade major hydroelectric facilities, including West Dam Hydroelectric, Potsdam, NY and our current project, Holtwood Hydroelectric, Holtwood, PA.
We also participated in an innovative project that built the infrastructure creating a 12 mile pipeline that collects and transports waste methane gas from a landfill as fuel for a power boiler at the University of New Hampshire. Read a profile of this Turnkey Landfill Bio Gas Line, Durham, NH. On a co-generation energy project, we provided drilling and rock blasting services for a natural gas/low sulfur oil energy plant to produce enough power for 700-1000 homes, Kleen Energy Power Plant in Middleton, CT.